All businesses collect data, whether it’s to help with sales, marketing, or even HR resources. Not all businesses however, know the best way to manage and use said data in the most effective and profitable way. 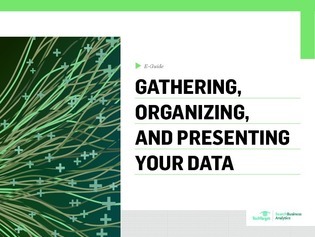 In this expert e-guide we walk you through not only the best way to organize and present your data, but also how looking back towards your back-end data pipeline can help you easily access larger amounts of information more rapidly. Inside you’ll learn how to create a collaborative data governance program, directly engage with your audience using highly visual displays of information, avoid inconsistent analysis by removing the need for data sampling, and more.